As the dust settles on the opening race at Circuito San Juan Villicum, BARNI Racing Team and Xavi Fores have plenty to celebrate as the duo have been crowned Independent team and rider champions, with the initiative being welcomed into the series this season. Kicking off 2018 in style, Fores and his Ducati backed squad pulled out all the stops and showed they were a force to be reckoned with at Phillip Island Grand Prix Circuit taking a podium finish in the opening race of the season. Backed up with a fourth position from the third row of the grid, it was a strong battle from the independent team in their first weekend out on track. Another strong weekend was welcomed in Thailand as the Spaniard went one better to take a second position finish in race one after a strong battle in the Thai heat, and backed it up with another top five finish in race two. With the combination of team and rider were dominating the independent class, and weren’t doing too badly in the overall championship either. The third podium of the season came in the third round at MotorLand Aragon in race one, as he put on a stunning performance in front of his home fans. But his consistent season dropped off slightly, as he failed to finish race two at MotorLand. Back in the points scoring finishes at TT Circuit Assen, two top five finishes were welcomed in The Netherlands to continue on their consistent run of form. An identical weekend points wise came around Imola, as Fores took a fourth and fifth position finish throughout the weekend. Around a circuit which is technical and twisty, it was a strong result for the Spaniard. But he was due a difficult weekend in Great Britain, and came away with no points from round six, meaning he has to have a strong second half of the season to keep his title chances alive. Returning to the Czech Republic this season for WorldSBK, Brno left Fores with 10 points all weekend as he took a 14th position finish in race one and an 8th position finish in race two. A weekend to forget for Fores and his team, but they were able to head to Laguna Seca in America and secure some stronger results taking two top six finishes. Misano welcomed another top six finish ahead of the summer break, but race one made him suffer another zero points scoring finish which was a steady way to go into the summer break. With a strong hold on the Independent championship lead, he had a few big rounds ahead of him. A return to the track in Portugal saw a tough race one with no points once again, but a top ten in race two was a welcomed return to the points scoring finishes. After struggling with the Ducati Paniagle R in the recent rounds, he came out fighting at Magny-Cours and finished in the top three in race one, taking home his first trophy since MotorLand. Securing a podium in the first and final European Round of the season, it as a strong end to a long fight for Fores. Struggling with the third row start in race two, he finished in the top eight ahead of the Argentinian Round. 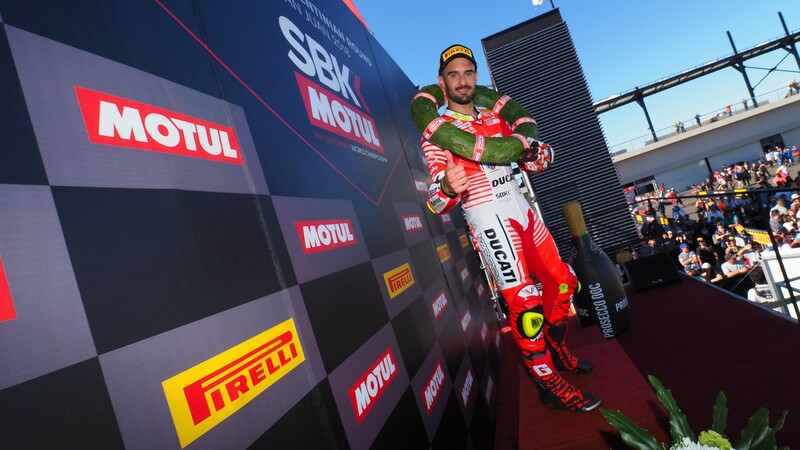 Argentina was the location he was able to seal the deal for both the team and rider title, becoming the first independent champion in the WorldSBK series. Enjoy all the highlights from Fores’ season and see how he got his BARNI Racing Team Ducati onto the top spot, all with the WorldSBK VideoPass.